While they’re working on my kitchen, I had no idea how much I would miss cooking. It’s not just because cooking and baking are what I do work-wise, but the ritual of going to the market in Paris and buying whatever catches my eye has become an integral part of my life. 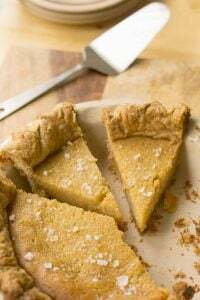 When I see lemons from Provence with their leaves attached or the first shiny-crimson strawberries of spring, it’s hard to not stop and buy some when I know I could (or should) be at home making a tangy lemon tart or fixing myself a nice bowl of berries for breakfast in the morning. Since I don’t even have a whisk at the moment (even though I have about ten stored somewhere in all my boxes…) I went out and bought one just to make something, because I was going a little berserk. Proving that you don’t need an arsenal of fancy equipment – or even a whole bunch of hard-to-get ingredients – I decided to whip up a batch of frothy sabayon to spoon over some strawberries I picked up at the Barbès market. There’s nothing hard or fancy about making sabayon; you just stand there and whip and whip and whip. Traditionally, zabaglione, the Italian version of sabayon, is made with Marsala – and to make it, all that’s really needed is a bowl, a pot of water, and a whisk. In terms of ingredients, you can use any sweet or dry white wine, even sparkling wine, as a base. For this batch, I used a gently spritzy Italian white wine, a Moscato d’Asti, which is slightly sweet but not overly so, and used it to pile over strawberries that I let macerate in sugar for a while to draw out their flavors and juices. The best way to whip up frothy mixtures is not to just stir in a circular motion with a whisk and pray for the best before your arm falls off. But one should make figure-eights with a whisk, which creates a lot more bubbles and froth. It shouldn’t take more than a few minutes to make, but be sure not to stop whisking while the sabayon is on the heat or you might end up with bits of scrambled eggs. If you have a hand mixer, you can use that as well, although I kind of like whisking as it makes me feel like I’m working for my reward. Since this is a warm dessert, it needs to be made just before serving, which is part of the fun. I don’t mind heading to the kitchen and engaging in a bit of furious whipping. And I don’t think guests mind hearing the clang of the whisk against to bowl coming from a kitchen, because from the smell, they will likely know something good is going to come from it soon. 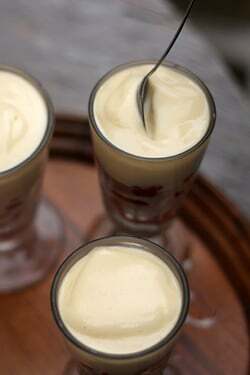 Adapted from Ready for DessertAny kind of white wine that you like will work well for sabayon; dry, sweet, or sparkling. I do tend to prefer sweeter dessert wines because their flavor is a little more concentrated. Wines like late-harvest Riesling, Sauternes, Muscat, or a wine that is richly flavored is good. You can use Marsala if you want to make traditional zabaglione. If you’re avoiding alcohol, you can use a non-alcoholic sparkling cider instead, perhaps adding a few drops of lemon juice, to balance any sweetness.Sabayon is lovely spooned over any kind or mix of juicy berries; toss them in a bit of sugar and let them sit for an hour or so, turning them gently to encourage the juices to really start flowing. Sabayon can also be used in place of whipped cream alongside a wedge of moist Almond Cake or heaped in a bowl, paired with a scoop of ice-cold orange sorbet – the hot/cold contrast is great. 1. In a large, heatproof bowl, whisk together the wine and sugar. Then whisk in the egg yolks. 2. Set to bowl over a pan of gently boiling water (the bottom of the bowl shouldn’t touch the water) and whisk vigorously until the mixture becomes frothy and stiff. You can slow down the speed, but if you need to stop whisking it, remove the bowl from the pan for as brief a time as possible. 3. 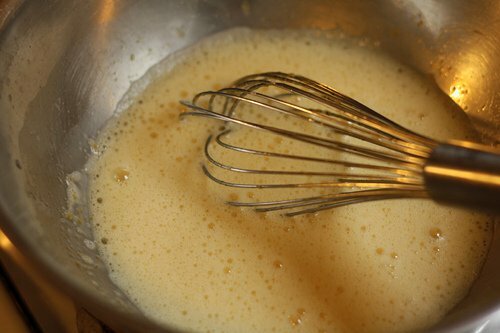 The sabayon is ready when the mixture is thick and holds its shape when you lift the whisk and let some of the mixture drop back into the bowl. 4. Pile the berries and their juices into a glass and top each with warm sabayon. You can sprinkle them with crumbled amaretti cookies, if desired. Are stawberry already in season in France? We can only get hold of those “Mix of Water and a bit of chemistry and red colour” in Germany, and I try to stay away from those at the moment. The first time I made sabayon was when I tried Thomas Kellers Lemon Sabayon Tart. from his Bouchon cookbook. I used Paule C;s hot water tart crust that you featured here for it. The tart crust was a dream and sabayon wasn’t as difficult as it was made out to be, but it was definitely a workout! 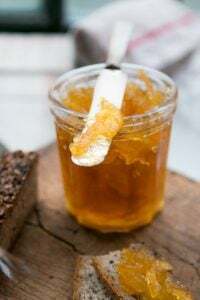 I love the idea of serving it over orange sorbet; it sounds like a dreamcicle all grown up! Can’t wait to try it. 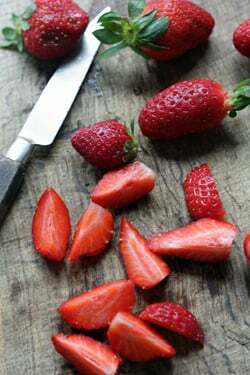 Watch out the strawberries on the market at the moment, they normally come from Spain, and are covered with pesticides. I bought at least Bio strawberries but they were taste less. You can buy Gariguette from France but they have pesticides and are grown out of soil! 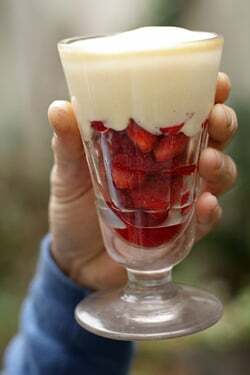 As Autumn has arrived in Australia, your strawberries and sabayon make me very jealous. Strawberry season will arrive again and I won’t forget this post. Foodies just have to cook in the same way that writers have to write and painters have to paint. It’s our passion. Hope you get into your kitchen soon. I just made your lemon squares for the 2nd time this week and gave some to our 12 year old neighbor to thank him for taking in our mail while we were away. He later told his mom they were “better than any money I could have paid him!”. Thank you for this recipe! We are coming to Paris in early June. Can we bring you anything from the Boston area/states(PB, chocolate pb which I prefer to nutella, headache meds)? This is one of my favorites and, now that I am oven-less, likely to become a regular in my repertoire. 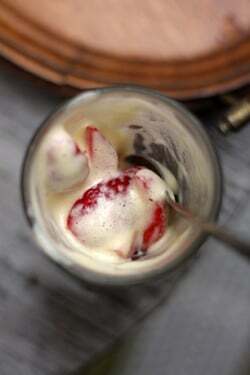 I also like it cold — chilled down over an ice bath, with a little whipped cream folded in. So a whisk is what to take on a desert island :-)? Will remember that! D- I have faithfully made your Sabayon from Ready for Dessert a billion times! 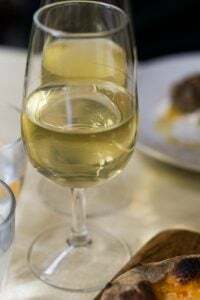 I’ve used Sauternes, Champagne and my new favorite – a spicy sweet Cote de Gascogne Gros Manseng and my hen’s deep orange egg yolks- like frothy gold. Our first local gariguettes are in the market this week from the farms down the road so this is a perfect way to celebrate Spring. Thanks for the reminder! Glad you like the recipe – it is great with Sauternes, although I love the idea of a sweet Côte de Gascogne, as well. And yes, time got get some first of the season strawberries in France! Now I know what to do with the strawberries that are also showing up at the markets! I’ve been noticing this dessert on restaurant menus, and have never really thought about it. After baking your essential French tart dough a few times, I’m hooked to the site and recipes. Hope you get settled into your new home soon. It’s remarkable that you went through the process of renovation and moving. 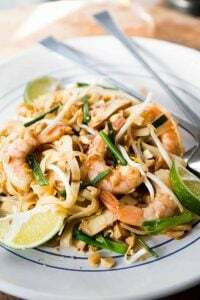 Glad to know I’m not the only compulsive food buyer..
My mother in law always told me to make this with leftover Champagne, but since we never have leftover Champagne, I have not had the chance. I think I will pop open the mini bottle of Sauternes and make it this weekend! My family thanks you. 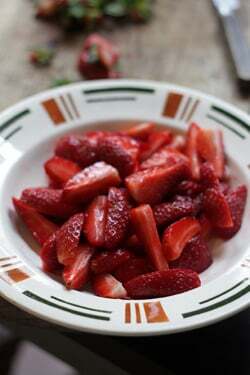 Yeah I just bought a kilo of strawberries at the market and have been looking to make something different with them. Will try this today. Thanks!! Sabayon + fresh berries, what can be better than this???? Thank you for this recipe. A restaurant in Dallas where I used to live served this and I always wondered what was in it and how to make it. I guess on the bright side you’re doing your own mini version of City Kitchen in Paris. But hope you will be in your beautiful new kitchen soon. Some time you should try making Syllabub – a mixture of cream or milk, wine or hard cider, sugar and lemon juice whipped together – no need to heat so it can be made without a stove or saucepan, even more minimalist. For that matter, you can make it with milk straight from the cow. David, I make sabayon with my homemade nocino. That nutty, spicy flavor plays very well with berries. Strawberries with sabayon is just about the most perfect dessert there is! Mhhh that looks delicious! Now I know what I’ll do with those strawberries waiting inside my refridgerator … oh and I also like whisking things by hand. To me it’s like cooking with all your heart if you’re making an effort, aiming to make something taste good. 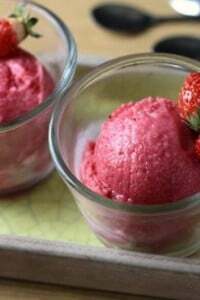 Just yesterday I had fresh strawberries in a “violet soup” (violet flavored sugar water) with lime sorbet and it was delicious… I can’t wait to try what you’ve just proposed! 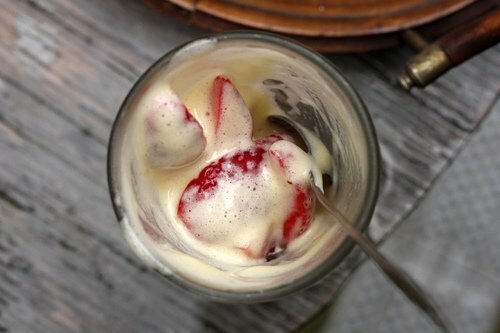 Beautiful and you can eat it..
Zabaglione is a favorite, and those strawberries doused in custard look like heaven! I’m moving this weekend, and being the food obsessive I am, my major concerns are cooking a few delicious meals ahead to enjoy in the transition, and maybe a few baked goods to get us through the first hectic mornings. Priorities. I feel in love with this recipe when it was published in Cook’s Illustrated. 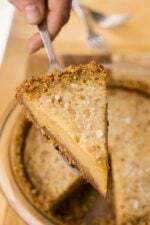 I use a longer dish and sprinkle the top with a mix of brown sugar and granulated sugar. I then put under the broiler to make a creme brulee type top. Yum! Thanks for the lovely reminder! This looks absolutely delicious and certainly an upgrade from the Cool Whip I plopped on my strawberries yesterday. 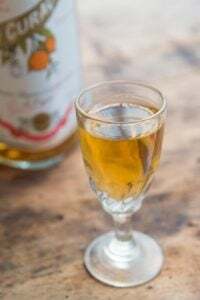 I love this stuff and the last time made the italian version using Moscato d’Asti, I used my copper bowl and it looked amazing but tasted totally of copper…have never had this happen before so was wondering if you have any ideas why? One of my favorite things to make and eat David! So simple and wonderful over fresh berries. I make mine with Champagne. I will always remember my dear friend, a chef, who taught me to make it way before I went to culinary school. It remains one of my favorites! Hang in there on the remodel. Tough but it will be worth it! Who knew it was this simple to make sabayon? Well, you did, for a start. Thanks! I am living in the sparest of conditions for the next 3 mos in Paris … and loving it … I have a fridge & stovetop though (& a whisk I was wondering what to do with) – I AM OFF & running to … omg … I have ALL the ingredients already, too … THANK YOU – sorry you’re not in better nik (ahem – more camping recipes – maybe)? My first question was: can this be halved, or would that be too little to whisk up over the hot water? After reading the comments (HELLO PAM up there), I’m wondering if I can follow Pam’s ratio of 1:1:1 using only 1 yolk? I have a goose egg that would probably be just the right amount for hubby and me. A bit of good news on the safer food front from the San Francisco Chronicle this morning. The manufacturer of methyl iodide has pulled the product from the market in California and has suspended sales in the U.S. 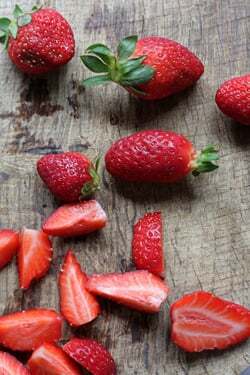 I never buy any berries that are not organic due to the impossibility of washing them and having no peel there is nothing to be done but spend more and get a safer treat. I have noticed in the past year more decent tasting organic berries are in my supermarket at a very competitive price and are flavorful enough to be worth buying. Obviously it can be done without fumigating and still produce a profit. Even though we had an excellent strawberry season in NZ this year and I ate them on every possible occasion, I’m still jealous of your lovely strawberries! I will try and appreciate the gorgeous plums we’re getting right now instead. 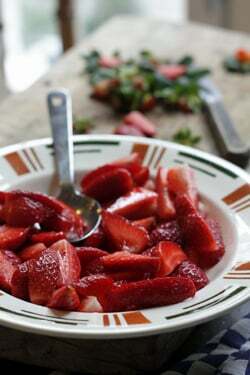 Although strawberries are the one fruit I think no embellishment can improve, your photos are making me waver. I miss hearing about you cooking too. Glad you were able to “whip” something up finally. The photos are beautiful. Will have to try this soon. Doesn’t seem too hard. Awesome ! I mead it today with Grapes and it tasted so good, a perfect match with the warm weather here in Germany. DL, Your photos are AMAZING!! 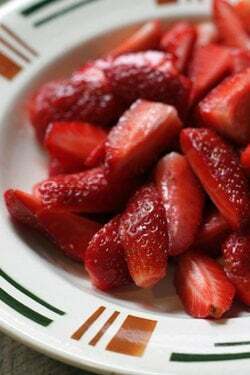 It’s a rarity, indeed to see such strawberries with ‘red’ all the way through. Well, at least in Chicago (even at the farmers markets). Thanks for sharing. I nearly always pick up a great tip from your posts. This time it’s using the whisk in a figure 8. Thank you! I’m gonna make this little delight but cheat on the whipping~~no whisking by hand for this gal . . . I’ll leave that to you pros. Oh, and those strawberries? I’ll take mine from Watsonville Driscoll’s, please. 2 Kilos of strawberries in the fridge now! I know what’s for dessert tonight! Oh I love this dessert. I love its simplicity and the hand work involved. Did you know you can reduce your kitchen equipment for Sabayon even more: Break the eggs, then use one of the half egg-shells to measure the wine, using 1 egg-sheel-half full of wine per egg-yolk. No need for any cup measures. I love making Sabayon for guests. Spoon it on fresh fruit, divine! For special occasions, I use a Niagara Vidal ice wine. A little sweeter than a late harvest Riesling, but it has nice apricot notes which goes well with fruit. Ute-S, I’ve also done the half shell egg measurements. oh my, this sounds delicious. the last time i had to whip anything like crazy was in December when we were making a Bûche de Noël and had to mix the egg mixture until it “sits in stiff peaks”. But thank for this recipe; delicious as ever. I’ll have to add it to the ever-growing list of wonderful recipes that I don’t have time to make, despite how much I want to make them. Needless to say I enjoy your blog and recipes immensely. This one reminds me of ‘back home’ in Austria (I live in Australia now) when I spent time in hospital. 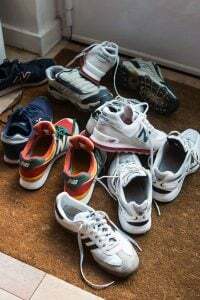 A lady in the same room was very weak after a prolonged high fever. Guess what the nurse organised for her? Sabayon! It was used often to strenghten a patient or elderly person. It’s so light and easy on the digestion. I hope doctors and nurses still do that! Berry fresh. Perfect timing, too. I bought a copper bowl just for sabayon, so I now make it all the time, to justify the cost of the lovely bowl. I also love how toned my upper arms feel after mixing up a batch. I noticed that Simone had left a comment re. her sabayon tasting of copper. The only time this has happened with mine, is when I cleaned the bowl with lemon and salt ( I’m not usually too bothered by copper patina, so don’t clean it often). Then the next time I used it, to whip whites, they had a weird metallic taste. You must be born to cook to buy an implement that you already have a bunch of to be able to cook something . Would you say that pure vanilla extract, chocolate ganache or fresh (not ultra-pasteurized) cream runs through your veins? That’s ironic, I just made strawberries with sabayon for dessert last night. Such a perfectly light way to end a meal. Thank you for this! I love sabayon, but never even thought of it as a sub for whipped cream. My lactose-intolerant hubby is in for a treat! Just love the looks…and taste of that! In case you haven’t heard it yet, your book “Ready for Dessert” was mentioned in Oprah’s April edition (p.116) – poaching quinces! I was already planning to make that wonderful almond cake for Easter dessert. Now I know what will be going on the side. Your good humor has not left you yet despite being sorely tried. Is there an ETA on the new apartment? These look so good! Great for spring! Can I just say I love you? I think I can. Wishing you the best on living through the renovations. Wondering if you’ll be coming to IACP next week? 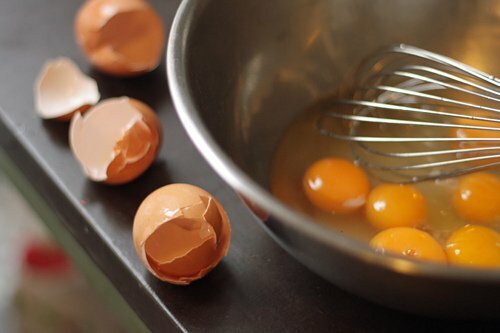 ok, this is a crazy question: the bowl full of egg yolks: had you already separated them and the liquid is the other ingredients or do you think it’s easier to crack the egg into a big bowl and scoop the yolk out with the half shell like i do? nancy: Am no longer a member of IACP so don’t attend the conferences. cindy: I don’t like to use eggshells for scooping, since the jagged, sharp edges can break the yolks too easily. If you’re going to crack the eggs into a bowl, and scoop out the yolks, (clean) hands work best. This is one of my favorite desserts! I used to live in San Francisco, and North Beach Restaurant served the best Zabaglione I ever tasted. I begged the waiter to give me the recipe, and he just told me they make the basic marsala, egg yolk, sugar mixture and then add a little grand marinier at the end once they are done whisking. A guilty Passover pleasure is Manischewitz sabayon. The colour is an odd shade of gray/mauve, but it is fruity and fun! I just made this and it was lovely! I served it chilled. Wonderfully light and frothy! I know what you mean about the scent of strawberries. There’s a small farmers market shop near my home which has the most extraordinary strawberries. You can smell their tantalizing aroma before you see them. They are grown locally, organically and are just divine. Plump and red all the way through. 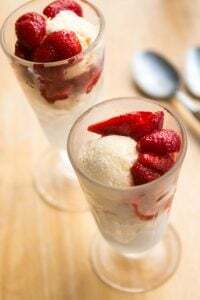 They were hard to resist and prompted a plethora of strawberry dishes; salad, a strawberry coulis and a verrine filled with berries and sabayon. I tried a local late harvest Riesling that was delicate in flavor and a nice complement to the berries. 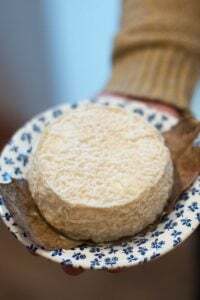 Have you ever made it with Baumes de Venise? It’s hard to find in my corner of California but in La belle France I’m sure one could procure a bottle. Thank you for the delicious post. 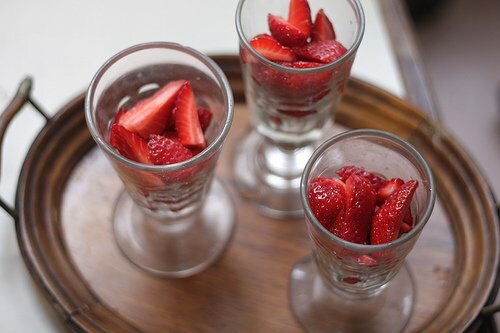 We are just starting to get our first blueberries and strawberries from the garden and I was looking for a fun way to serve them- this will be perfect. Thanks! One question, would Sauternes be a good wine for the recipe or will it be too sweet? Thx! yes, you can use any kind of white wine, sweet or dry. Sauternes is an excellent choice. This looks wonderful… can you sprinkle sugar on this and torch it for a little crunch? What am I thinking of?? I’m in the 2nd and just tried this tonight for a dinner party. It worked beautifully with strawberries from Palais des Fruits on Montogeuil. Merci mille fois!! I didn’t know it is so easy! I wanted to thank you for your blog. It was very helpful for our recent trip in Paris. I love making sabayon! This looks delicious and just in time for all the strawberries at the store these days!